Originally intended as a movie, SkyVu founder Ben Vu created Battle Bears after drawing from his family’s own experience immigrating to America from Vietnam back in the ’70s. How that correlates to a ragtag group of violent misfit bears fighting off an invasion of cuddly, pink, sentient teddy bears I’m not so sure, but I’m glad that it does. Battle Bears never did end up hitting the big screen, but it did spawn an incredibly fun and absurd iOS game in 2009 called Battle Bears: Zombies ($0.99), whose popularity led to several more games being released in the series. 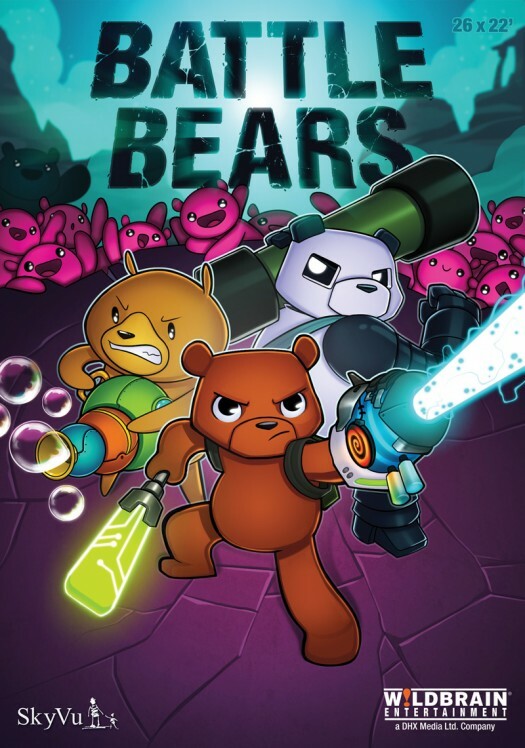 Well things are coming around full circle, sort of, as now the success of Battle Bears as a mobile game franchise has let to a deal to produce a television series set in the wacky Battle Bears universe. Partnering with production company Wildbrain Entertainment, Battle Bears will see a full season of half-hour episodes that follow the antics of the six main protaginists, including ring leader Oliver, the muscle-bound Riggs, and the lovable loser Wil. As fans of the Battle Bears games already know, one of the best aspects about them are their fully voiced and animated cutscenes, so the fact that I’ll be able to get that in half-hour doses over the course of a whole season of episodes has me pretty excited. There will also be a line of Battle Bears merchandise to coincide with the TV show, and of course the team at SkyVu are still toiling away at new games in the series, with Battle Bears Zero nearing the finish line. We’ll let you know when more details arise surrounding the Battle Bears show, upcoming new games, toys, wedding cakes, band-aids, Chia Pets, or any number of other Battle Bears related goods that might be coming down the pipe in their latest effort to take over the world.